A and R was robbed on August twentieth, just before the close of business at around six o’clock. Five days after the robbery, security officer Leroy Ciego was charged with conspiracy to commit robbery. This morning, another man was arraigned for robbery. Police believe the alleged mastermind and gunman behind the theft is Kevin Bodden. He appeared before Chief Magistrate Anne Marie Smith and was charged for two counts of robbery. The first is for robbing the business of twelve thousand dollars in cash and the second count is in relation to Deidra Hall from whom two pieces of jewelry were stolen. 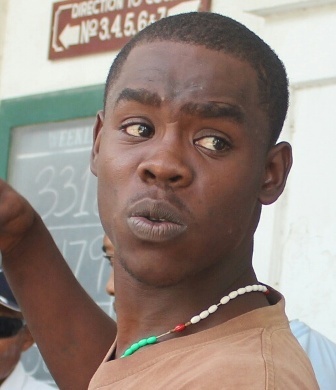 Since the offense is alleged to have occurred with a firearm, Bodden was remanded into custody at the Belize Central Prison until October ninth, 2014. This is also the date that Ciego is due back for the charge of conspiracy to robbery. Police also expect to levy charges against suspects as their investigation is ongoing. Bodden is no stranger to police; he walked from a murder charge about a year ago. He is presently on Supreme Court bail for an attempted robbery.